Sleep apnea and other sleep breathing disorders affect millions of Americans each year. But luckily, there are several treatment methods available that are used to treat sleep apnea effectively – other than the CPAP machine. If you or a member of your family has sleep apnea, you probably are familiar with CPAP (Continuous Positive Airway Pressure), a cumbersome, noisy machine used to treat sleep apnea. A CPAP machine consists of a mask attached to a machine that must be worn while asleep. It is a common treatment method for sleep apnea, but it comes with several disadvantages. If you have had problems with a CPAP machine or resisted treatment for your sleep apnea because you do not want to use a CPAP, there are other options. At Pittsford Dental Excellence Center, our sleep apnea dentist, Dr. Sam Guarnieri, can prescribe oral appliance therapy to correct your sleep breathing disorder. These appliances prevent the breathing obstructions that occur during sleep by keeping the patient’s lower jaw in a forward position. This helps maintain an open airway throughout sleep, and thus, facilitate optimal airflow. The chances are that you have seen many anti-snoring or sleep apnea mouthpieces available for purchase in stores or online. The oral appliances prescribed by Pittsford Dental Excellence Center are of a higher quality, however. 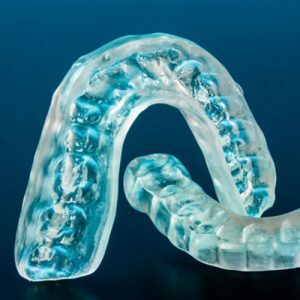 Each oral appliance is custom made to fit the mouth of every individual patient for both maximum effectiveness and comfort so the appliance can be worn comfortably during sleep. Custom oral appliances can also be adjusted to experience the best results. 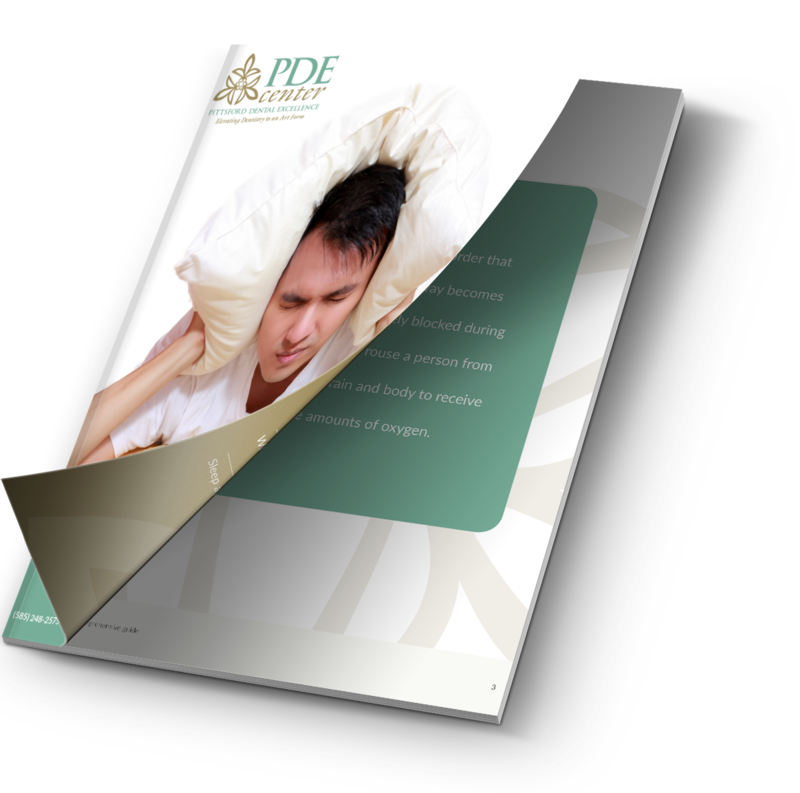 If you have been diagnosed with sleep apnea, or you are showing symptoms of a sleep breathing disorder such as excessive daytime fatigue and lack of focus in combination with snoring, then contact our office in Pittsford, NY, today at (585) 248-2575 to schedule a consultation. Myofunctional therapy refers to a practice in which repetitive exercises are used to strengthen and tone the facial muscles, such as those in the tongue, jaw, and cheeks. The exercises improve the function of the facial muscles and help to achieve a proper resting position of the tongue. What can myofunctional therapy be used for? Myofunctional therapy helps to improve the function of the facial muscles, improving one’s ability to chew, talk and breathe properly. The therapy is also very useful in the treatment of sleep disordered breathing or sleep apnea, as it improves breathing problems and reinforces the correct position of the tongue, which can, in some cases, obstruct the airway. Myofunctional therapy can also be used for orthodontic purposes in cases where the tongue may be pushing against the teeth, causing unwanted movement and malocclusion. What are the advantages of myofunctional therapy? Myofunctional therapy is often recommended for children suffering from orthodontic issues or a sleep breathing disorder, such as sleep apnea, as it is non-invasive and has none of the risks and side effects associated with surgical procedures or medications. Myofunctional therapy exercises can be practiced at home and is suitable for patients as young as six years old.